We did the regular zero day town chores and catching up on personal things. 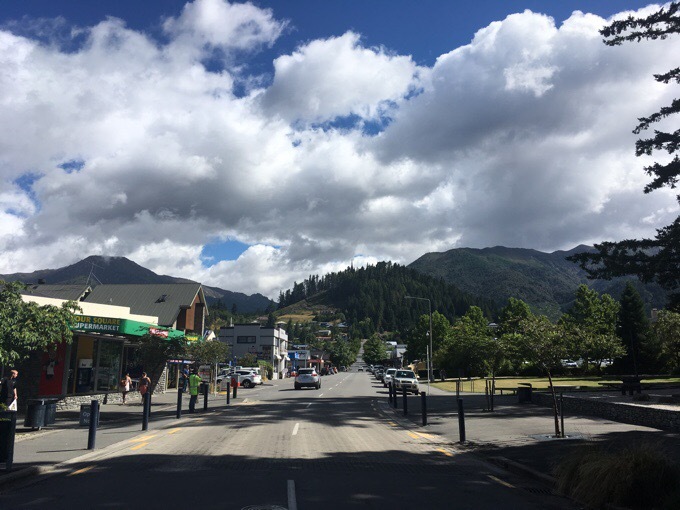 I have to say Hanmer Springs is my favorite town so far. Beautiful with mountains all around it. It is known for the man made pools made from natural hot springs, but neither of us are moved to communally bathe with others. Of course it was a beautiful day to be hiking, but I needed the zero. I’ve pretty much been going nonstop since hitting the South Island and we came in so late last night that it would have felt like no rest at all to check out at 10am. It was wonderful to just relax and not be in a rush and take the zero. Still, as usual, the day went way too fast and I always feel like I need more time. I did get to do morning video calls with my nephews and with Becky. The nephews were adorable as usual. Becky, Tom, and Christophe have now added a young German couple to their group and are having a grand time basically sleeping in, taking in the hiking, and going hut to hut with shorter days and some half days. They didn’t have to zero in the rains last leg and were able to do shorter days and it worked out well as the water drained quickly. They are really savoring it and don’t mind the long food carries. It may not give them the best weather, and it will take longer, but they are relaxed and having fun. 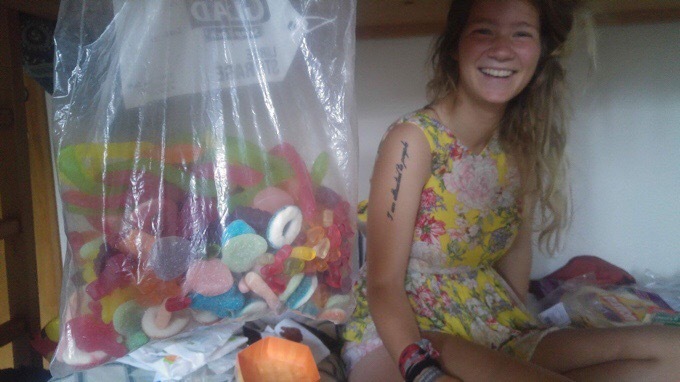 Some things will never change, and Becky let me know she thinks she has 2kg/4lbs of gummies for the next leg. Hilarious. Becky’s resupply for the next leg is done! They are now about 6 days back and that is working out well as I will have plenty of time to do side trips as I head south before possibly reuniting in the end in another month or so. Hopefully, we can continue to provide updates like this from time to time. It was fun to be in town at the same time and to be able to chat. After the morning chats, we walked just a few minutes to the Rustic Cafe. 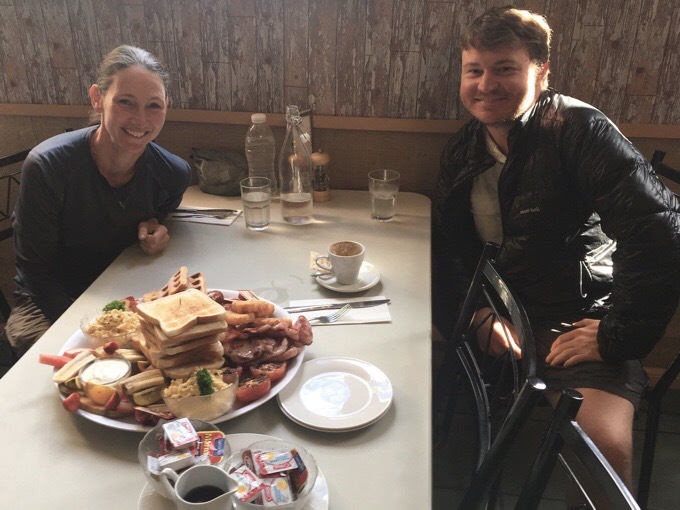 They had the perfect breakfast platter that is intended to serve four people. We decided to get it and have half of it today and the other half tomorrow reheated in the motel room. It was awesome and was like our own personal buffet! Every breakfast item you could imagine. Waffles, french toast, bacon, sausage, tomato, toast, hash browns, eggs, yogurt, fruit, etc. I can’t wait to eat the rest tomorrow. There are also interesting stories on how everyone faired with the weather bomb in the last section I just did and the one I’m headed into. I mentioned Felix and Ned were ahead of me last section and I could see in the logbook that they were in Blue Lake Hut for 3 nights. Well, I got a message from Felix that he and Ned went over Waiau Pass twice only to get stopped by the first major crossing on the other side. Twice! They were then low on food and somehow went backwards to hike out to St Arnaud somehow getting a water taxi across the lake because of how high it was. Not sure where they are now as Felix messaged a couple days before I got out that they were in St Arnaud and is now out of range. Man, they may have gone back in to do the whole thing again. That’s brutal and shows how random timing can be. As for this coming section, Griggs and I have decided to stick together another leg with a lot of unknowns. This section is mainly in a valley with yet again many crossings of streams and rivers. I’ll be more specific as we approach it. The good news is that there are good alternate options if we find the water too high. We brought plenty of food for whatever we end up doing, so we will just take it as it comes. We’d love to be able to do this section, but it will be taxing with what we’ve heard is a lot of washed out trail, slips/slides, and downed trees to get through. The good news is that there isn’t a huge rain on the way and today was awesome for letting things drain. There is rain in the forecast, but just spotted and nothing as bad as the last week to make us have to push or race anything. After breakfast, I went to the library for a few hours to catch up on things and it closed at 2:30pm. Then I resupplied and spent the rest of the day getting random things done. Griggs attempted to fix his rain pants that tore along the seam of his inner leg, but ran out of Tenacious Tape. The quote of the day came when he returned after setting out on a mission to get duct tape. Griggs came in with a big cup and said, “I couldn’t find duct tape, so I got a milkshake.” Yep, milkshakes fix just about everything! Well, one thing I wish it would fix is my foot. I iced it and soaked it in Epsom salt. It is still swollen and slightly less painful. I really hope it’s not a real thing. I just tried to stay off it and keep it elevated. This isn’t my first rodeo in hiking with a swollen ankle/foot, and it’s always managed to heal in time, but this is in a less common area for me on top of my foot, so I’m not sure what’s going to happen. We’ll see I guess. I tried to take photos, but the swelling wasn’t showing well enough to see in a photo. Plus, you don’t need photos of my hobbit feet. I did sew my shoes and got before/after shots of that. Dental floss is magical. I watched an episode and a half of Mozart in the Jungle as I sewed up my shoes. We also watched the first episode of the popular Netflix series Stranger Things. I’m not hooked yet, but it’s interesting and I may watch more. My shoes have two weeks to make it to Lake Tekapo where my next pair are waiting for me. I think they may just make it! That’s about it. We are leaving pretty early at 6:45am for a shuttle ride out and I’m laying down by midnight. Not too bad! Hey, no rain expected tomorrow! Two days in a row. That has us hopeful about the upcoming streams and rivers! Ok, don’t forget there may not be cell service for much of this leg, so don’t worry if there is a gap of time between posts. Let’s hope the foot does ok! Lots of ice and NSAIDS for the tendonitis! At least (hopefully) it’s not a stress fracture, which can also present on the top of the foot. Usually not hard to tell the difference. Did you say that breakfast feeds four or 40? Hadn’t noticed Becky’s tat before. That’s not new is it? Wow, your shoes look great. I bet they are flat now too? I’m sure you’ll be glad to put new shoes on soon. No, she’s had it for quite awhile. It’s a quote from a book that says, “I am attracted to people.” It has a personal backstory that I’ll leave up to Becky to comment and share if she wishes. I will say she dreams of someday having full sleeve tattoos! 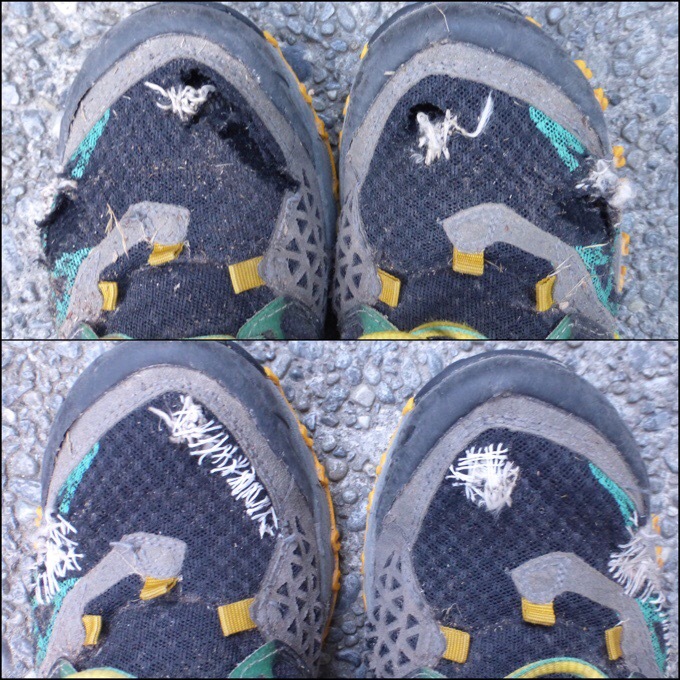 The shoe repair stitches look similar to sock darning stitches, – great resourcefulness. If you can get your hands on some Bromelain pills, which are pineapple digestive enzymes, they are an effective anti-inflammatory for tendons & soft tissue if taken on an empty stomach. Especially good for foot swelling. so whats next? we have a good half week of heading west along river valleys with a couple of low saddles so not much altitude gain, but theres some areas of track damage and fallen trees to negotiate, and maybe some rain to wait out while the river calms down. theres a few more days of river valleys after arthurs pass then its time for the open treeless terrain of south canterbury and the mackenzie country for the next phase of the adventure. The question on everyones lips is where will erin go for side trips? big rock wall climbing perhaps after secretly watching Alex Honnold movies? 😀 or will she switch to pack rafting perhaps as a practical means of travel? stay tuned …. Erin, By the time you see this, we HOPE that your foot is in good shape. Just wanted to say Susie and I were in Hanmer Springs last April. Nice town. The square reminded us of Woodstock, Vermont. Hike safe!! It’s not getting worse at least! I got shin splints on the Camino and the first warning was a pain on top of my foot that felt like the knot on my shoes was digging in. I had never had this problem before so of course I ignored it until both my shins blew out. It sounds like you’re not sure what’s wrong so I recommend a lot of stretching, hydration and rest. Erin has covered about 13 miles today to Locke hut, hut past Harper Pass. there was a bit of morning rain that would have affected the water courses, and there’s some track damage through this area, no. looks like there’s afternoon rain tomorrow, that may cut her day short.. she could still make it to the road but not up Deception river if theres much rain. 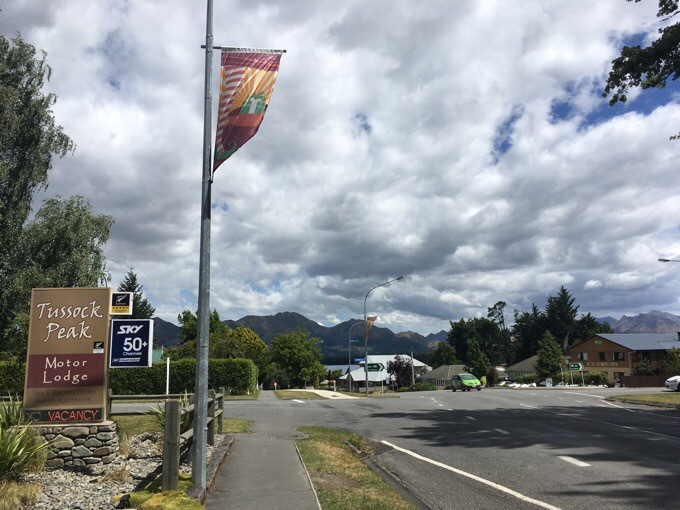 the Deception and Mingha RIver will take a whole day and its a short trip from there to arthurs pass but heavy rain will prevent getting to arthurs pass.So how many days left is how long is a piece of string. could still be two or more days away. Hey Wired, sorry to go off topic but the PCT is calling you back for another go. Looks as if the 2011 record snow year is history. Your getting pretty good at all of this so it should be a cakewalk..
Erin got to where the end of the Taramakau River section where it meets the road and got brief reception. she isn’t finished for the day yet though.. Sorry! I forgot to push the button right away when we arrived. Doing it now before I lay down. Oh man, lots to reply to there. Can you cut/paste this into an email for me and I’ll reply in a handful of days when I’m at my laptop after the trail?